For the record, we love Home Depot and Twilio both. We get asked this question by clients sometimes and the confusion is understandable. Twilio is a very popular developer platform for text messaging and voice services. It has done a lot for text messaging and is actually one of our vendors. A client asked last week, we shared this analogy and it made perfect sense, so here’s the email. We hope it helps you too. TL;DR, Twilio provides the nuts and bolts to create a solution, but does not provide the solution itself. You still have to develop and code the solution yourself. Mosio provides customizable modules configured to create solutions. The best way to explain how Twilio works and how we’re different (we don’t consider ourselves competitive with them, this will make sense in a moment) is to use an analogy of building a house. In that analogy, Twilio is basically Home Depot. You can get the supplies to build a house there, but you don’t have a house yet. 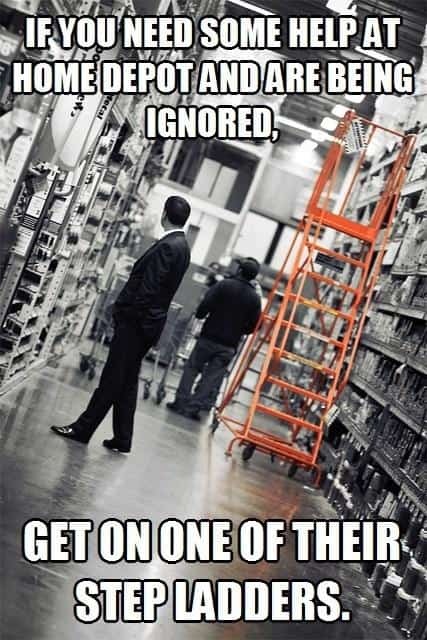 With Home Depot you can buy hammers, nails, wood, but you still have to find someone to design, build, and then manage the ongoing maintenance of it. With Twilio, you get text messages (or voice minutes) and numbers. You can use Twilio for texting, but you won’t have a solution, you’ll just have text messages. With Mosio, we are not only able to build you the house you want, we already have pre-figured pieces of it that can be put together in hundreds of different ways. Twilio is actually one of our providers. They’re a provider of text messaging, numbers, and voice solutions for many software developers. They’re a great company and doing many things for software development. But they don’t build final solutions for companies, they’d rather be Home Depot. If you have in-house developers who want to build something from the ground up, that’s great and we’re not going to be a good fit. What we’ve found over the years, however, is that in-house developers will often look at our list of capabilities and agree that there’s no way they have the resources to reproduce what we’ve done. We fix a lot of mistakes other companies not focused in research have messed up for clients. In that regard, we feel we’re in-house developer-friendly because we enable them to either build on top of our offerings, or work on something else completely. Developers usually have a laundry list of things people need from them, no one just has Programmers sitting around waiting to be told what to do. So there you have it. If you’re the kind of person (or team) that likes to dig in and build something from the ground up, you can use Twilio (or Nexmo, or Plivo) to do that. If you’re looking for an end-to-end solution, ready to be configured to your needs, we can definitely help, just let us know.